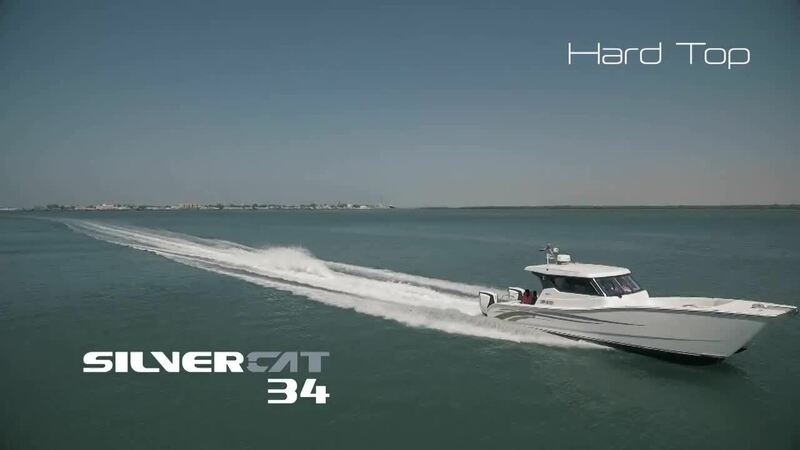 Silvercraft boats have always boasted of advance hull designs, superior performance, evolving styles and the new SilverCat 34 CC or 34 HT are no exceptions. As powerful as it is graceful, the new breed of Silvercraft boats is a classic example of Gulf Craft innovation. It’s perfect shape, top speed of 50 knots & the unmistakable swanky style creates an ideal blend for leisure and offshore fishing boats. Taking it out for the fishing trips or to cruise in the toughest of seas, these boats are built to perform as no other sports boat can. A design based on seafaring traditions of the region and its own powerboat racing heritage, Gulf Craft has rapidly developed into one of the leading fiberglass powerboat builders worldwide.